As I’ve written about before (read here and here for some background), I’ve got a crazy-complicated system to manage my shopping list, involving my Amazon Echo, Todoist, IFTTT and Slack. Ideally I’d like to see what is on the list in the notification, rather than just a link open Todoist. That would mean I can see on my Apple Watch what I need to buy without having to get my phone out. 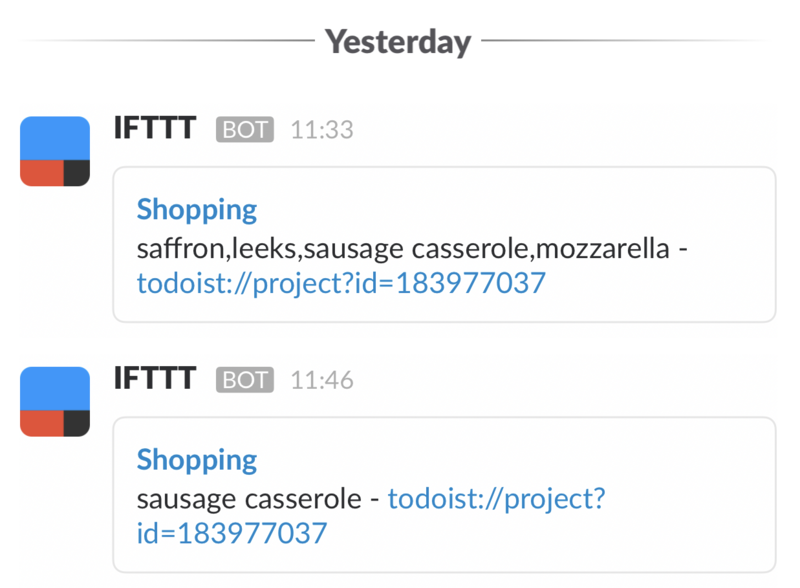 Integrate other services on IFTTT with your DIY projects. 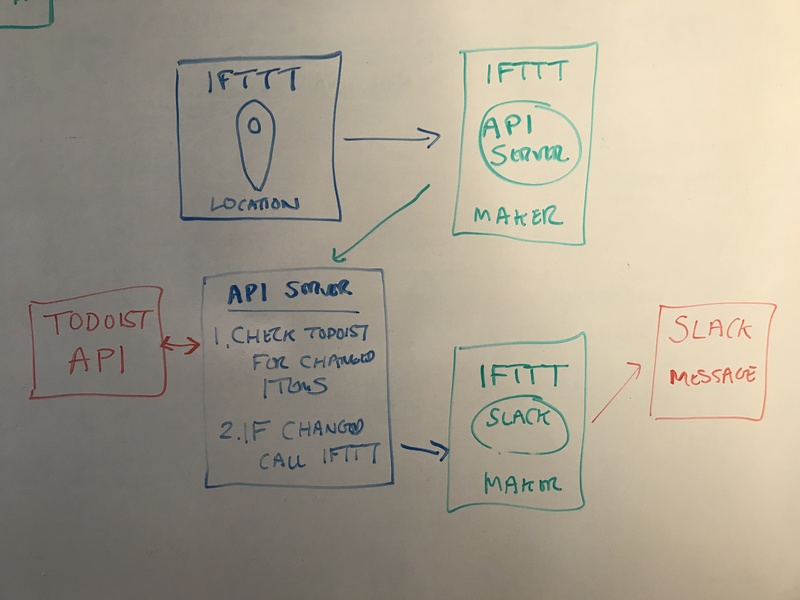 You can create Applets that work with any devices or apps that can make or receive a web request (aka webhooks). This is fantastic, as you can really build some complex systems that hook into your own logic. So with a little more work I can now build exactly the setup I want. The first alert was when I got to Waitrose, and after I’d crossed off 3 items from the list in Tododist, when I got to Tescos it then reminded me about the final item. I’m pretty happy with this now. It really is great to use Alexa as a way of managing our shopping list, and I don’t use any other way of doing it any more than by voice. Yes, it is a pretty nobby list of things to fetch (I was going to Waitrose after all). And no, I never did get the Sausage Casserole mix. It appears Hexham is all out right now.